Ruffwear Harness - Built For Tough Pups! For dog owners that already have experience with the Ruffwear brand, placing ‘'reliable'' before it might sound redundant. But, not every dog is the same, and some of the Ruffwear products work better than others on specific breeds, sizes, or in certain situations. Ruffwear is predominantly a brand focused on active canine equipment, and it is important to know where and when we will be using it. Would your dog just need some additional support while on a brisk day-hike through the woods, or are you bringing your furry friend to a true hike on the Pacific Crest Trail? In all cases, you will need your companion to have a comfortable and durable harness that they will be able to wear for the entire day. During this time, these should be no chafing or any other damage to the dog’s fur. Finally, opting for Ruffwear over some lesser brands will mean that you will have more control over where your dog is going, which will help you remain on good terms with those few adventurers that are not dog lovers. The only reason why harnesses have only recently started to become the norm are the materials used in making them. Before, harnesses were heavy and used mostly for weight pulling on dog sleds. Collars were comparatively light and not as taxing on the dog. Now, when there is almost no difference in weight, harnesses are a much better option. Even in domestic situations, collars will often choke your dog more than necessary and can create injuries on larger and stronger dogs. But, when you are in the wild, that is where the difference truly shows. Collars can get stuck in the bush and can seriously injure your canine companion. While the same can happen to some harnesses as well, the direct injuries here are almost impossible. Also, you can pull your dog up by its harness, which is something you can’t do with a collar. As is right now, even a good collar is better fitted as just a way to identify the dog, rather than something to control it. Because all of the Ruffwear products follow the same line of logic and material quality, the furriness of your dog is not as important in this case. What is important is the size and weight of your canine. These two aspects should not be seen as separate, as combined they indicate the build and body type of the dog. Smaller dogs need less padding and straps, but can only carry smaller and lighter harnesses. Opposite to that, larger breeds will need much more material to support their weight when you are pulling them, but can also carry that weight quite easily. Finally, even though Ruffwear harnesses have adjustable straps, make sure that the harness can be placed snugly on your pet. Don’t let any of the parts hang loose and stick out too much. That being said, the dog should be able to breathe uninterrupted, even when panting. 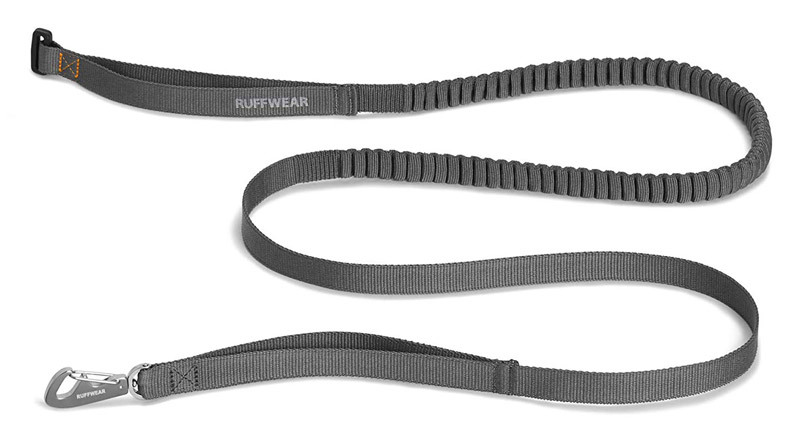 The smallest of the Ruffwear harness options, this fluffy little item is perfect for any companionship dog that is ready for its adventure outside. The harness itself is very light and very comfortable for the dog to wear. There is thick padding that will cover most of the harness on the inner side, shielding all of the adjustable straps from the dog’s fur. The upper side has an aluminum V-ring that is very sturdy and would be able to pick up the whole dog with ease. Additionally, there is another place to attach a carabiner on the bottom side, which will allow you to raise your dog in areas where they can't climb on their own. Additionally, this can come in handy if you plan on carrying your dog on a plane and keeping it steady in your lap, and don't want to use a pet carrier. Finally, this harness has an ID pocket that prevents the dog tags from dangling and keeps them easily accessible. It is possible that the name of this product came as a result of web-design logic: ‘’keep it simple’’. The Ruffwear Web Master has a simple yet genius solution how to keep the harness lightweight, but able to pick up the entire dog. Namely, there is a handle on the back that is a part of the harness itself that lets you pick your dog up like luggage, removing the need for complicated solutions that put your canine companion in danger. Additionally, this harness is also a good solution for working dogs as it allows for full mobility while staying tight at all times. Finally, the straps are padded, making the harness very comfortable. This will let your dog wear the harness as long as it is needed without any risk of irritation or chafing. While very convenient and useful in other situations as well, this harness is perfect if your dog wants to return to its working dog roots by pulling your bike or skis. The harness is very durable and distributes weight perfectly, making it ideal for light pulling. If you are in an urban environment, this can be changed into dog-powered skateboarding, which is very fun for both the dog and the pet owner. After all, this harness is complacent with international joring regulations, making it possible to even compete in dog pulling competitions with your furry friend. This makes your dog more than just your best friend, but also your teammate. Finally, the harness itself is very comfortable and light, making it easy for the dog to wear for the whole day. As we have found better modes of transportation, it is no longer needed for our dogs to pull our sleds and carts. Now they are free to be comfortable as companions. But, this means that we need to find a way to transport them in our cars and motorbikes safely. This is where the Ruffwear Load Up comes in handy, as it is one of the safest canine harnesses on the market today. Unlike most other models, its main pad is on the front of the dog (or bottom when they are walking). This is made as to protect the dog from injury by inertia while it is attached to the car seat belt or motorbike seat. It is made to be very durable and very comfortable as there are no straps on the chest side, tying all straps with aluminum rings. The harness is tested to keep the dog secure even in the case of a car crash. If you think that your four-legged friend is ready for a real adventure, then the Ruffwear Doubleback harness is the choice for you. While nature was not so kind to provide our dogs with opposable thumbs and nimble fingers for climbing, that doesn't mean that you should take them on an adventure atop some rocky terrain. 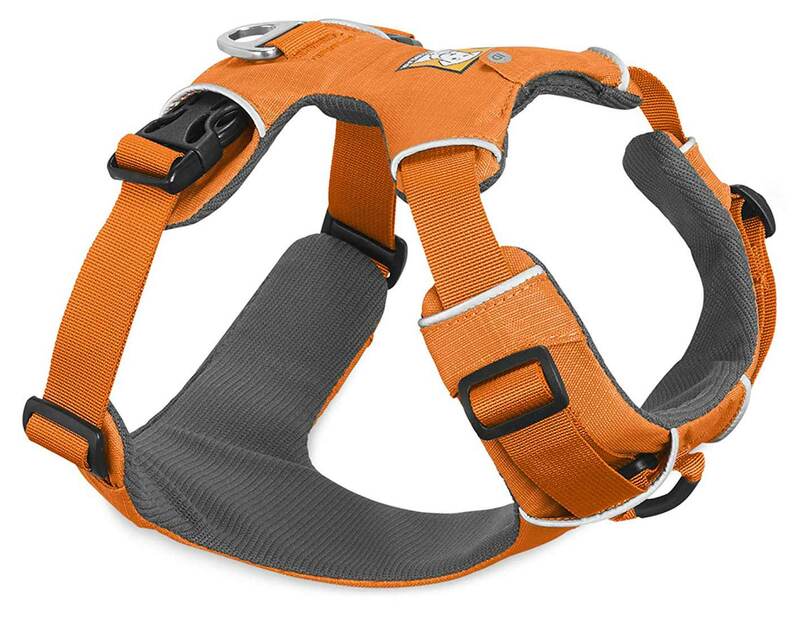 This harness will allow you to climb ahead of the dog and pull them up wherever they need to be. The Doubleback is tested for 2000 pounds of force, or 8.9 kN, meaning that you will be able to pull up even the biggest dog in the harshest weather. You will just need to be sure that you are physically capable of lifting them, or you will need some pulleys. It is very easy tying and untying a leash from a harness, and most harnesses have an option to attach several ropes and straps if you so need. In most situations, a regular leash would do just fine. But, there are some cases where you will need to use a sturdier line that will be the right mixture of strength and flexibility. In the case of joring or pulling, you will need a specific leash that will survive the treatment you are planning to put the material through. For an untrained eye, this might seem like just another leash, but it is not. This towline is made for the exact purpose of withstanding professional joring competitions. That doesn’t just mean the weight of your dog pulling, but also the snap in the beginning when it is the difference of your inertia and the speed increase of the canine. The middle is made from stretchable webbing as to compensate for the initial pull. This makes the leash much more enduring. The bottom has a strong aluminum attachment that easily snaps into the pull-harness. Finally, the holding end has an attachment for the hipbelt, making it impossible for you to drop the like during a run. Those familiar with Ruffwear will know that they specialize in equipment for dogs that will go with you on your hikes, treks, road trips, and other adventures. They can be called canine athletic attire. But, the fact that all items consist of good materials doesn't mean that each piece will fit every dog. You will need to pick out the correct harness for your furry friend that will help them enjoy the activities you are planning. The dog will certainly appreciate your company, but they should be safe and happy because of the activity as well. Your main concern in all cases should be the safety of the dog. 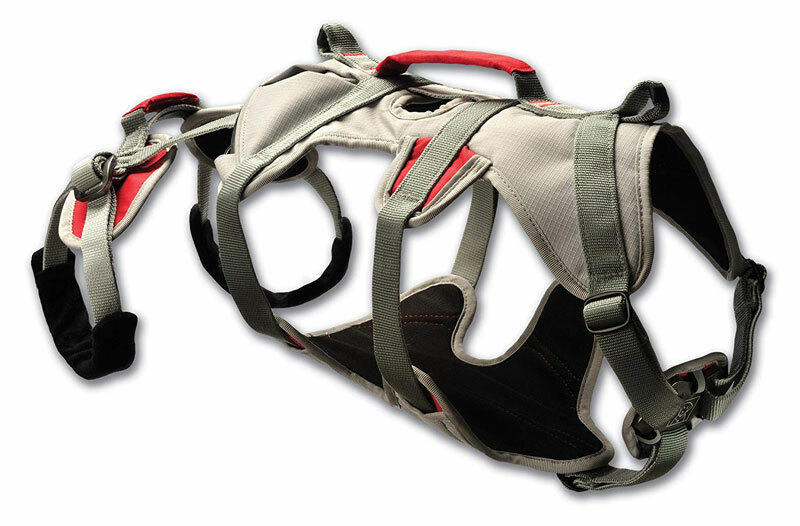 For some items, like the Doubleback harness, the dog might not be comfortable while wearing the leg loops, but they are necessary while on the climb. Once you are on safe ground, you can take off the loops and provide the dog with more comfort. The same goes for every other item. First, ensure the safety, and then concern yourself about the comfort of the canine. 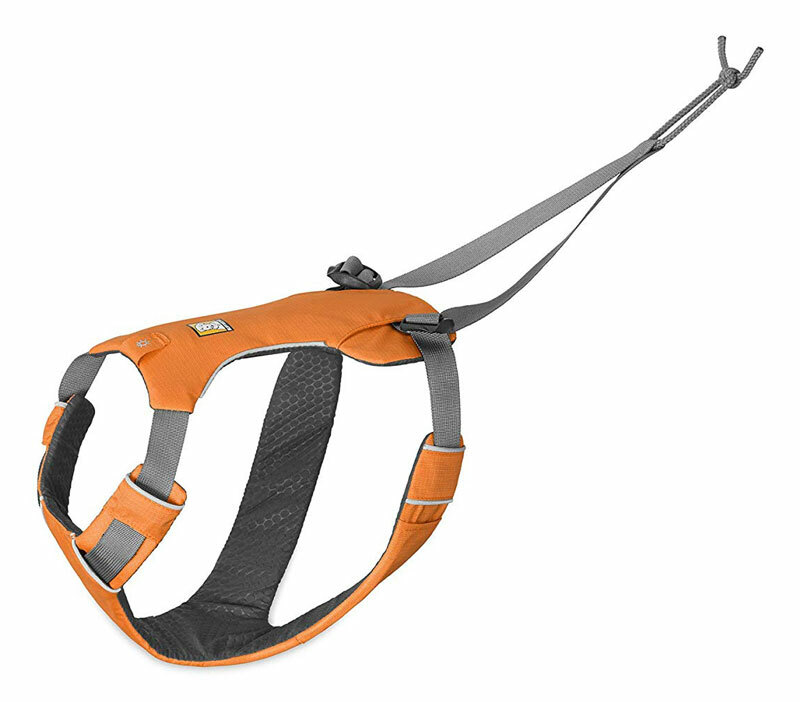 As far as aesthetics go, Ruffwear harnesses are beautiful, and there are several colors to pick from. But as the color preference is entirely subjective and completely irrelevant to the dog, the only person that should decide on it is you are the pet owner. To be certain that your furry friend is ready for their adventure, the harness they are wearing should be adequate to their size. Not only are properly sized harnesses more comfortable for the dog, but they are also safer and provide better mobility. Additionally, you will be able to attach other items, such as a doggy backpack to them, increasing your dog’s value while hiking even further. Finally, small dogs will need something that will protect the dog's body as well, aside from being lightweight. Large dogs might not have that weight problem, but will need something much more durable, even when being used as a walking harness. If you plan on taking your dog for a joring session, then you better make sure to keep both your dog and yourself safe. 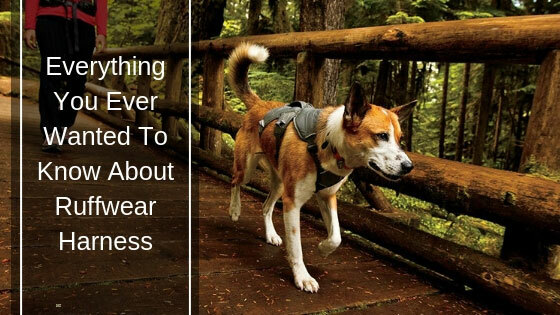 If your dog pulls really hard, you will need a really sturdy harness to endure that kind of stress. There should be nothing pressing onto the neck of your pooch. 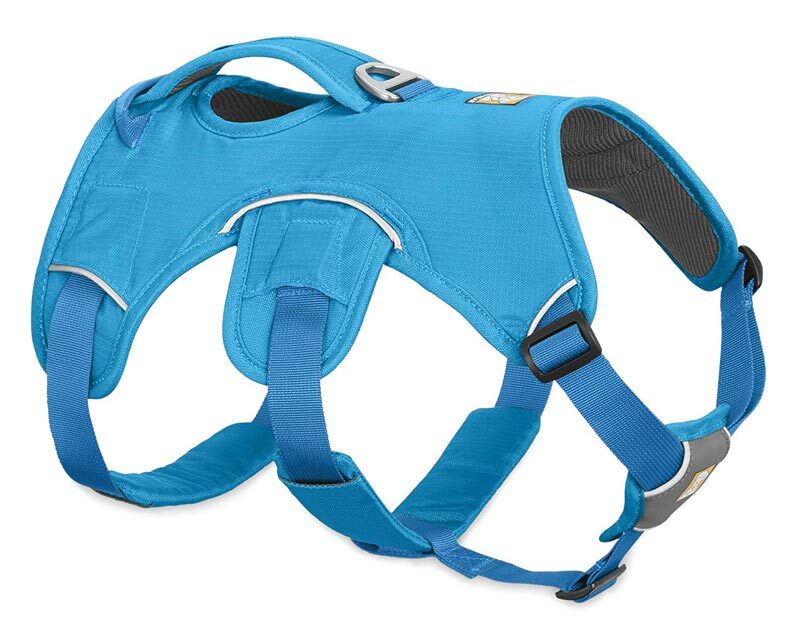 The snug fit of the harness should push on the chest and the back of the dog, without ever sliding up or down. The Omnijore harness is the best choice in this scenario, as the padded chest area prevents any harm coming to the dog. And, if you are using a good towline, there will be no chance for the pooch to tug the line from your hands. All pet parents know the joy of having a puppy and watching it grow in a healthy adult dog. Likewise, all outdoor people know the happiness that being outside brings, regardless if you are hiking, camping, or just walking through nature. It is amazing that with good gear you can combine these two joys of life and bring your dog with you on an adventure. 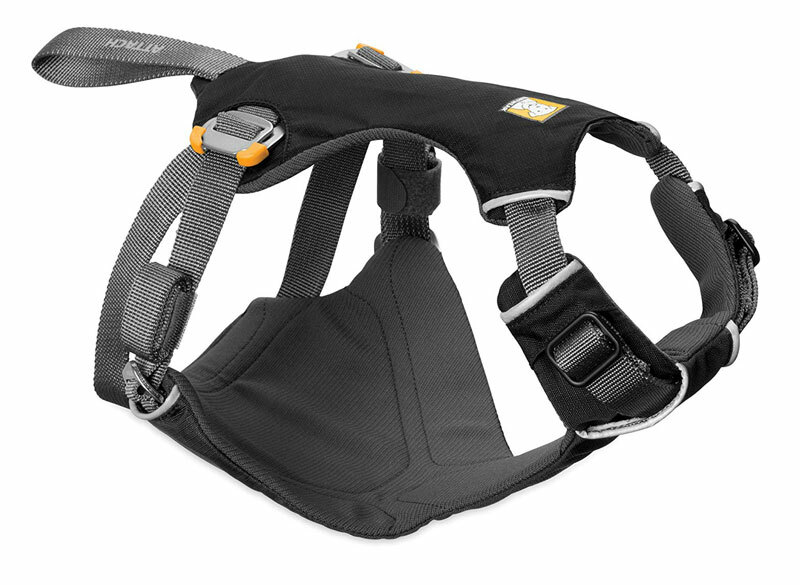 Selecting a Ruffwear harness is always a good choice, even if you only plan on walking your dog through a park. But if you want to test the limits of this canine equipment, you will be very happy with the results. Using these types of harnesses you will be able to do all of the outdoor activities you have ever wanted, and all that with your dog by your side. Select the one that will be the best fit for your precious pup chose the color you want, and spend the rest of the day planning your next big adventure.